Do You Love Being a Vegan But Hate That Pasta, Pizza and Bread Make You Fat & Lethargic? Do You Want To Stay Looking Young and Radiant Forever? Want Laser Like Ketogenic Focus Without Stuffing Yourself with Artery Clogging Bacon? Many Vegan "experts" want you to believe a high carb low fat diet is the way to go. But they are plain wrong! The fact is that all the science points out that high carbohydrate diets are bad for your health and are slowly killing us. On the same token vegan diets are the healthiest diets in the world proven by countless clinical and longitude studies. Let's not Forget Vegan diets are good for the cute fluffy animals we all love! So why don't you join the new LOW CARB VEGAN REVLOUTION! BE A PIONEER! In 10 Years, YOU will look and feel great! People will ask how is it possible you look so young? And you will thank yourself for INVESTING IN YOURSELF. Who I am I to tell you all this: I am an Expert Nutritional Biologists and Vegan Chef. Making me one of the few people who can create A Perfect, Healthy and Delicious Low Carb Vegan Recipe. I have handpicked the best recipes that all my clients have personally told me they absolutely love, and included it in this 3 BOOK BUNDLE! 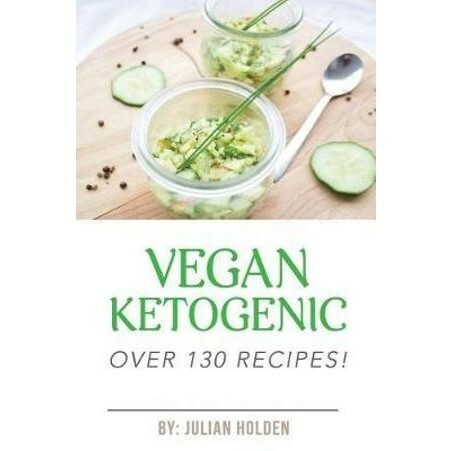 of the my 3 Best Selling Vegan Ketogenic Recipe book: 51 Classic Recipes, Vegan Ketogenic Desserts and Vegan Ketogenic Smoothies.